The Branded may be vicious dragon minions, but they sure are pretty. Steal their look with these crystalline mount skins! 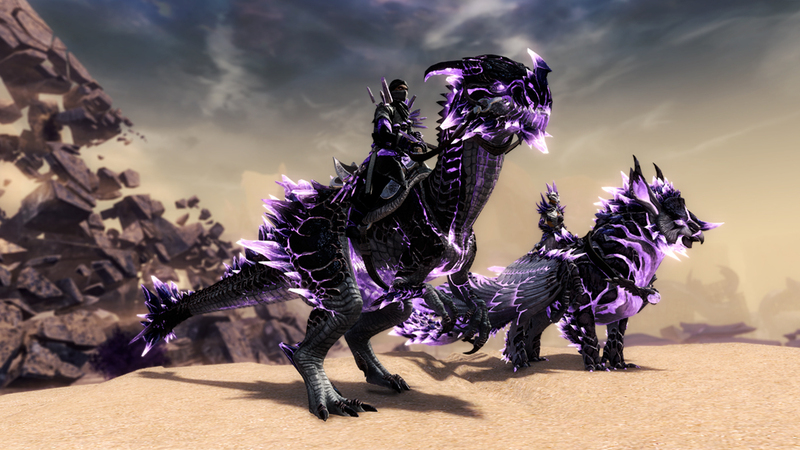 This pack will unlock five mount skins—one for each of your mounts. Regrettably, Kralkatorrik’s army will still attack you on sight. 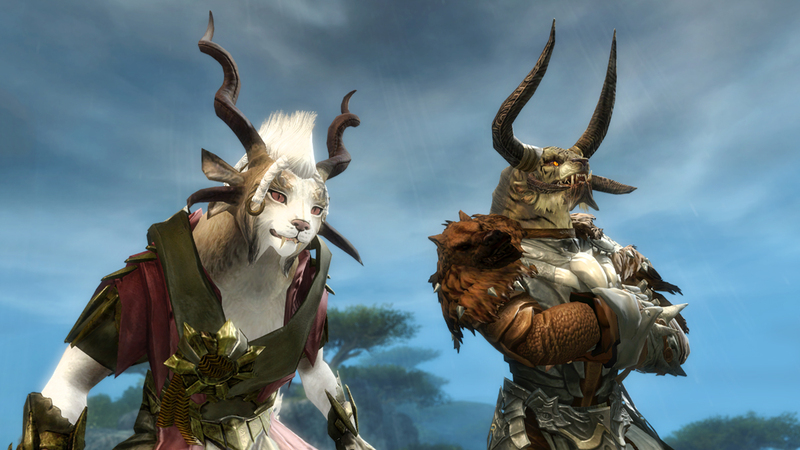 Express yourself with six vibrant new eye colors and a wide selection of charr horns! New eye colors are exclusive to Total Makeover Kits. New horn options are available through Total Makeover Kits, or during customization when you create a new charr character. In this update, you’re guaranteed to receive an Olmakhan Salvaging Pouch in every Black Lion Chest. These protective pouches contain one elemental lodestone and an assortment of salvaged goods. You also have a chance to find a Mini Branded Mounts Pack and skins from the Bloodstone Weapon Collection as uncommon drops, and skins from the Tormented Weapon Collection as rare drops. The Fuzzy Quaggan Hat, Fuzzy Hylek Hat, and Wreath of Cooperation are available for a limited time. Keep an eye out for more returning items as we refresh our seasonal inventory. 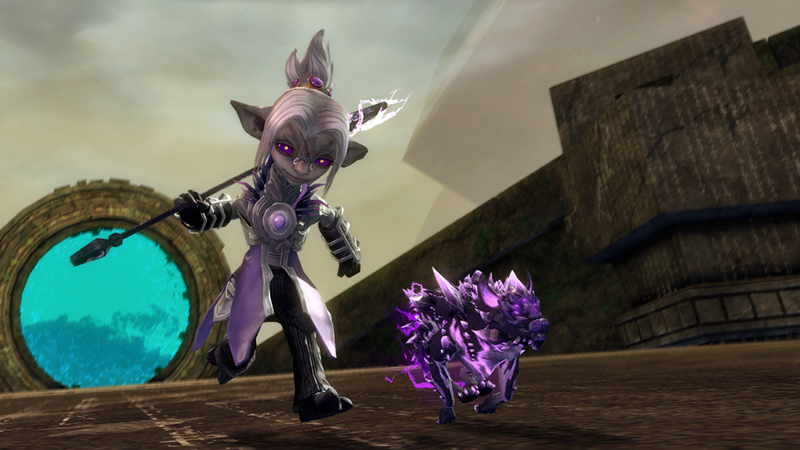 It’s also the last week to pick up the Black Lion Garden Plot Deed and Zhaitan Dye Kit.